the 1877 report wa« iwued tne Kev. H. B. George aud Mr.
guilty of isaulng false statements. at the Committee-rooKis, King-strtet, Westminster, Mr.
bynan, Collins, Delahunty, and Parnell. Mr. A.
might be deemed necessary. 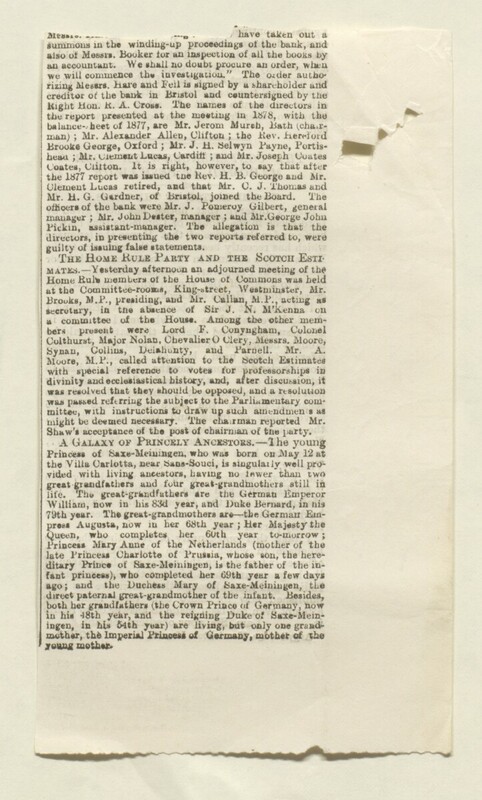 The cha.rman reported Mr.
Shaw's acceptance of the post of chairinau of tne i>arty.